VNC server is used to connect and control desktop environment of the server from remote clients. VNC viewer is used on remote computer to connect the server . In the article we can learn about how to install vnc server on centos 7 . we can use the default packages provided in the centos yum repository. Let’s start. If you don’t have desktop environment ( X windows ), issue the below commands one by one to install. It will take few minutes to install packages. [root@krizna ~]# yum groupinstall "X Window System"
After reboot, you will get Centos 7 desktop . Now start installing VNC packages. Step 1 » Issue the below command to install VNC package. Step 3 » Now open /etc/systemd/system/vncserver@:1.service file and replace <USER> with your username . ExecStart=/sbin/runuser -l <USER> -c "/usr/bin/vncserver %i"
ExecStart=/sbin/runuser -l john -c "/usr/bin/vncserver %i"
If you are creating for root user . ExecStart=/sbin/runuser -l root -c "/usr/bin/vncserver %i"
Step 4 » Reload systemd for changes. Step 5 » Create VNC password for the user . Step 6 » Enable and start the service using the below commands. Enable service at startup ( Permanent ). Step 7 » Allow VNC service in firewall. 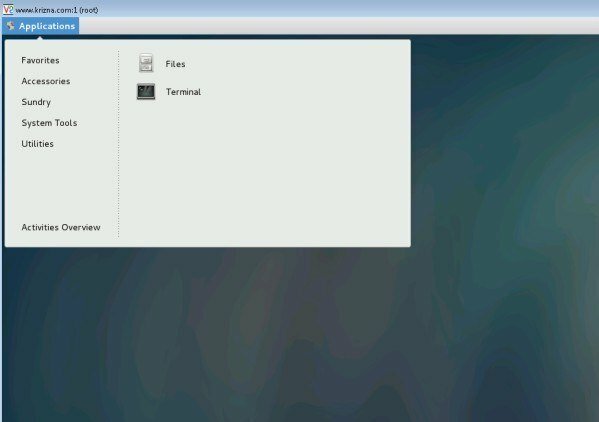 You can use VNC client like Tightvnc viewer and Realvnc viewer to connect Server. 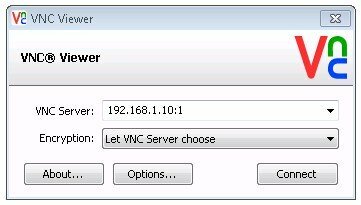 For additional users create files with different ports ( Refer Step 2 ) vncserver@:2.service by copying example config file and continue the steps 3,4,5 and 6 by replacing service name. Please make sure you logged in as that particular user for creating vnc password ( Step 5 ). » To stop VNC service . » To disable VNC service from startup ( permanent ). » To stop firewall ( For troubleshooting ). Gud one….., solved the root issue for me…..
problem solved, you need to edit init file for start gui on boot. localhost.internal systemd: Failed to start Remote desktop service (VNC). hi i failed to start the vnc server any ideas? How to open file in step 3? Helped me, getting it done. Thank you ! Just one thing that in step 5, tell that either login or switch as the user or ssh as the user, for which we want to give vnc server access. nice tuto.. I had already read 5 other tutorials, this one worked! thx! very helpful tutorial, I just had to set a rule on iptables and know I am able to run centos7 virtual machine from my mint host machine.